Metro-Goldwyn-Mayer, Inc., or MGM, is an American media company. They mainly make movies and television programs. On April 8, 2005, the company was bought by a group led by Sony and Comcast along with Texas Instruments and Warner Bros. until emerged from bankruptcy on December 20, 2010, due to Spyglass Entertainment founders, Gary Barber and Roger Birnbaum becoming co-chairs and co-CEOs of the company. The company is named after three companies which were combined in 1924 to start the MGM movie company. They were Metro Pictures, Samuel Goldwyn Productions, and Louis B. Mayer Productions. From the 1920s through World War II, Metro-Goldwyn-Mayer was the largest movie studio in Hollywood. They made more money than any other studio. At its busiest, MGM made about one movie a week and also made many short movies and cartoons. By the mid-1930s MGM had 4,000 employees. It had 23 Sound stages on their 117 acre lot. In 1939 MGM's assets were worth $144 million USD. In the 1940s the studio had problems. Movie theatre attendance was declining and television was starting to draw people away from the movies. In 1948, the Supreme Court decision United States v. Paramount Pictures, Inc. put an end to movie studios owning their own theatres. Lowes continued to be the parent company of MGM. But in 1954 Lowes Theatres was formed to control most of the movie theatres. In the late 1960s and 1970s, MGM sold off most of their back lot. They sold MGM's British studios and MGM Records. In 1981 MGM's major stockholder, Kirk Kerkorian bought United Artists. In 1983 MGM and United Artists merged as MGM/UA Entertainment. On August 7, 1985, Turner Broadcasting System announced that they would buy MGM/UA. Turner saw the value of acquiring pre-May 1986 MGM's film library for his superstation WTBS. Under the terms of the deal, Turner would immediately sell MGM's United Artists back to Kerkorian. As a result of the MGM split from Turner, both MGM and UA became merely brands of MGM/UA Communications Co. in late 1986. In late 1986 after Turner Broadcasting System split into two companies; Turner Broadcasting System and Metro-Goldwyn-Mayer. Turner continued to release the pre-May 1986 MGM film and television library on video known as Turner Home Entertainment. Turner sold the MGM lot for $190 million to Lorimar-Telepictures. In 1990, Giancarlo Parretti, the owner of The Cannon Group, bought MGM/UA for $1.2 billion. He then merged Cannon with MGM and named it MGM-Pathé Communications. In 1991 there were a number of lawsuits and he defaulted to Crédit Lyonnais, his financial backer. Parretti also faced securities fraud charges in the United States and Europe. 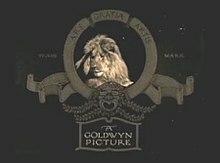 The company name was changed back to Metro-Goldwin-Mayer Inc. US bankruptcy laws forced Crédit Lyonnais to sell MGM. It was acquired again by Kerkorian for $1.3 billion. The Wizard of Oz is one of the most famous movies made by MGM. It was made in 1939. The star of the movie was Judy Garland. ↑ Fabrikant, Geraldine (1986-06-07). "Turner To Sell Mgm Assets". NYTimes.com. Retrieved 29 November 2014. ↑ Stevenson, Richard W. (March 8, 1990). "Pathe in $1.2 Billion Deal to Buy MGM/UA". The New York Times. Retrieved 29 November 2014. ↑ Bates, James (1992-12-21). "SEC Steps Up Investigation of MGM Deal : Entertainment: Information is sought on temporary financing used by Giancarlo Parretti in his purchase of the studio". The Los Angeles Times. Retrieved 29 November 2014. This page was last changed on 25 February 2019, at 03:18.